Who knew that when I published a $50 meal plan to ALDI last year, it would be one of the most popular posts on the blog?! 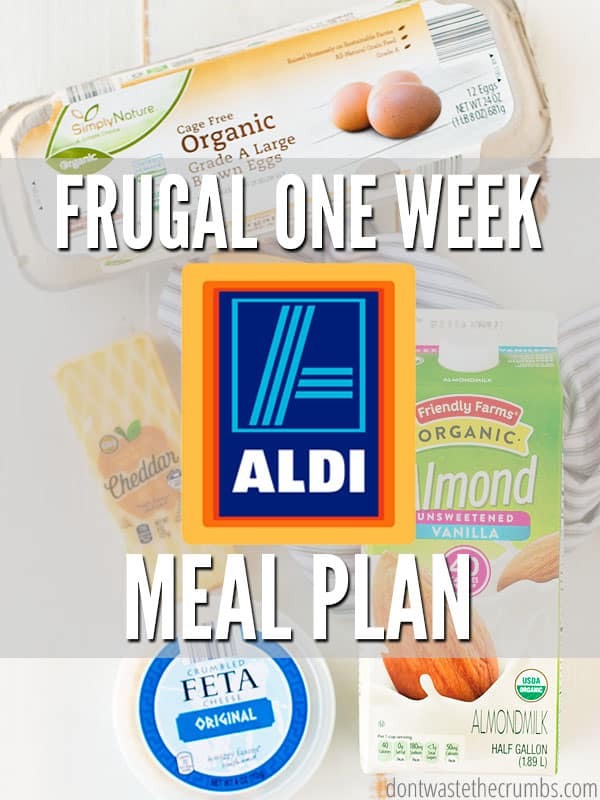 My goal is to help you eat real food on a budget, so back by popular demand, let’s make another one week ALDI meal plan! Because while you CAN make a meal plan and save money, it’s when you combine it with things like shopping in bulk and cooking from scratch and making a price book that you REALLY see the savings rack up. Psst! I actually teach you step-by-step how to do EXACTLY this ^^ so you can stop spinning your wheels with money saving tips that just don’t work. My course Grocery Budget Bootcamp is more than tips, it’s complete system that allows you to maximize your grocery savings every week while saving time and energy. Enrollment for the course is limited and opens just three times a year, so join the waiting list here! One final note if you’re new to shopping at ALDI… be sure to read my Ultimate Guide to Shopping at ALDI BEFORE you leave the house. ALDI is unlike the typical grocery store and has a few quirks that might catch you off-guard. Be prepared, read the article, and enjoy the savings! 100% real food recipes that are simple, straight-forward and family-friendly. Recipes that are quick to make, and all of them can be made in under an hour. 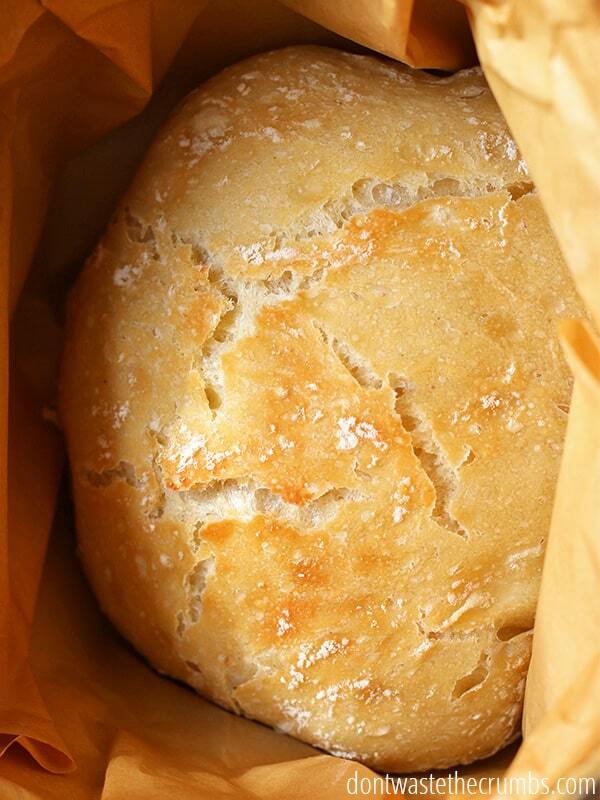 Easy from scratch staples to help cut costs, like no-knead artisan bread and hoagie rolls. Feel free to sub store-bought if you prefer. A plan that comes in right around $60 for a family of four! Oils, vinegar, acids, spices and pantry staples like baking powder are not included. these are things you likely already have in your pantry, and if you don’t have what the recipe calls for, you can easily swap it out with something you do have. Sweetener. This meal plan has just one recipe that calls for 1-2 tablespoons of sweetener and you really can use whatever sweetener you have… honey, maple syrup and all variations of granulated sugar will work. And if you don’t have any, just leave it out! We’re always on a mission to quit sugar anyway, right? Precautions for food allergies. Two members of my family have sensitives to gluten, but we’re able to bypass those with gluten-free pastas and einkorn flour (which is a traditional wheat that’s easier to digest – more on einkorn here.) ALDI has a fantastic gluten-free line of foods, and if you’re diary free you’re used to subbing anyway. With a few tweaks, I think this ALDI meal plan would work in most food allergy families too. This meal plan doesn’t include breakfast or lunches because in my experience, the majority of families have personal preferences on what they eat for breakfast and lunch. Every meal on this menu is something I have personally made for my family. Every single meal covers dinner for the four of us AND enough for at least one leftover lunch (usually two). Use the “Bonus Meal Ideas” section at the bottom to create your own breakfast and lunch menu. Those are just some ideas to get started, but they’re there to help you use the ingredients you’re already buying! If you still don’t think this is enough food to cover breakfast AND lunches, buy a bag of apples and a container of oatmeal. Make apple cinnamon oatmeal for breakfast and you’ll keep your bill under $63. Shopping from your pantry first and substituting with as many things possible to keep your shopping list as short as possible. Using your price book to find the rock bottom prices in your area. Look at other stores like Walmart and Costco! I did side-by-side cost comparisons of ALDI vs. Walmart and ALDI vs. Costco and you might be surprised at what I found out! Click HERE to download the One Week $50 ALDI Meal Plan with recipes and shopping list. Whole Chicken: The majority of our meat this week comes from two whole chickens. I included a recipe to cook in the slow cooker, but you can also roast in the oven or use your Instant Pot. Make sure to cook chicken stock with the bones! You need it later in the week for African Sweet Potato & Peanut Soup. Italian Sausage Links: You will use sausage links in Italian Sausage, Peppers, and Onions on Hoagie Rolls. Yum! Milk: You need milk to make some of your side dishes this week. The total amount comes just under half a gallon. You can stick with that or buy a whole gallon if your family loves homemade cinnamon granola for breakfast. 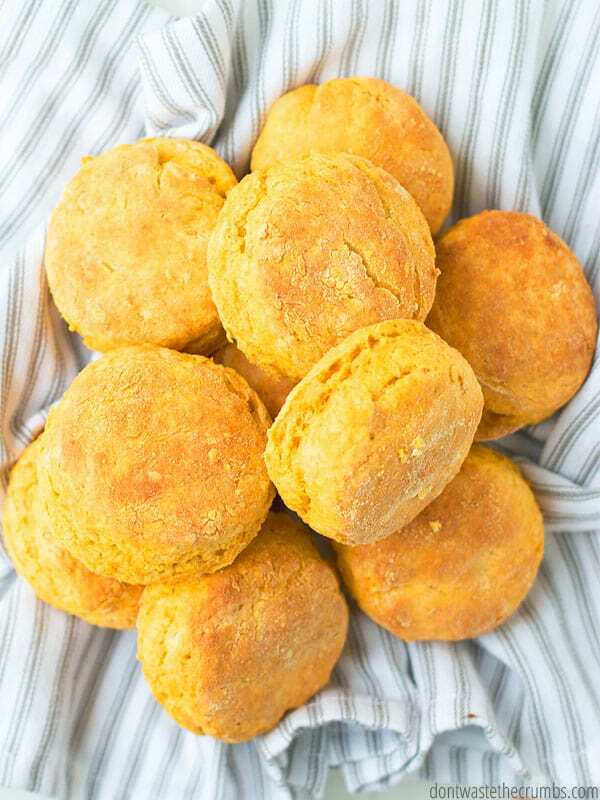 Butter: The Light and Fluffy Sweet Potato Biscuits NEED butter! It really makes those flakey layers stand out. Plus you’ll need it for your Hidden Veggie Mac & Cheese and Steamed Carrots. Eggs: Since eggs come in a dozen, you’ll have some extras. Use them for breakfasts or boiled eggs for lunch on the go. Cheddar Cheese: Cheese is typically cheaper (but not always!) when you buy it in a block and shred it yourself. Feel free to go the block route or buy already shredded. 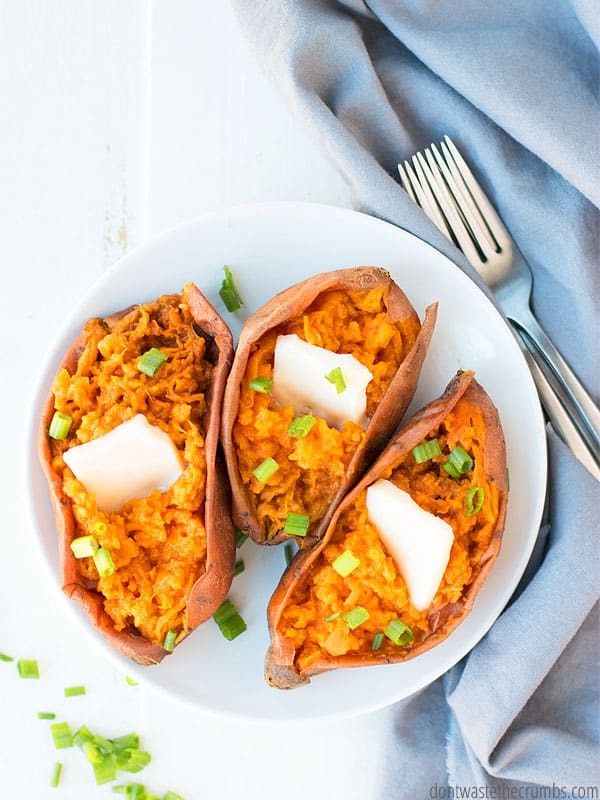 Feta Cheese: Don’t skip the feta on the Stuffed Baked Sweet Potatoes. This topping makes the dish! Beans: Beans are a perfect cheap protein to add to meals. The shopping list calls for a can of beans but you can buy dry beans if you prefer (which in the long run, dry beans are cheaper than canned beans!). Make them in the slow cooker or Instant Pot then divide into 1 1/2 cup portions and freeze extras. One 15 oz can of beans is about equal to 1 1/2 cups cooked beans. Kalamata Olives: I love the flavor of kalamata olives, but if you like black olives better go right ahead (plus you’ll save $1). Olives round out the flavor on the Stuffed Baked Sweet Potatoes. 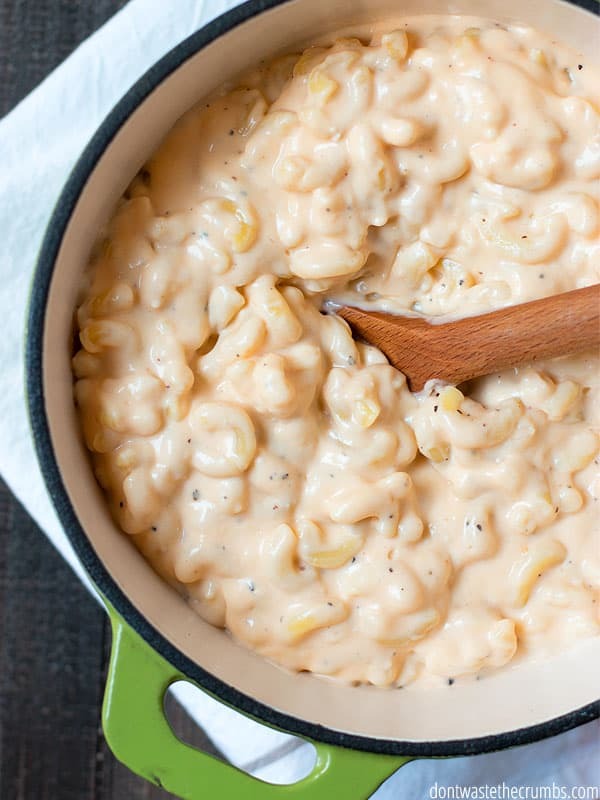 Pasta: Homemade Hidden Veggie Mac & Cheese is the best comfort food! Go with the traditional elbow pasta or mix it up with any other small pasta. Peanut Butter: You probably want to go with creamy peanut butter this time. You need it for the dressing on the Loaded Kale Salad and in the African Sweet Potato & Peanut Soup. Peanuts: Dry-roasted peanuts are your best bet for topping the Loaded Kale Salad and you need it for the African Sweet Potato & Peanut Soup too. Pumpkin: Canned pumpkin is the hidden veggie in Hidden Veggie Mac & Cheese. It’s an amazing way to add some extra nutrients! Rice: The recipes call for white rice. Feel free to use brown rice if that’s what you already have at home. I love to cook big batches in the Instant Pot and freeze for later. Tikka Masala: This is an unusual ingredient, but it has clean ingredients and I wanted to give you a “night off” this week! Pair with shredded chicken and leftover rice and BOOM! Dinner! Avocado: This healthy fat is a great addition to any salad. Loaded Kale Salad is no exception! Bell Peppers: You need yellow and green peppers for Italian Sausage, Peppers, and Onions. If you can’t find them individually at your ALDI, buy one package of mixed peppers – or even all green bell peppers – and substitute as needed. Butternut Squash: One of your side dishes is Roasted Butternut Squash. Feel free to substitute any other Winter squash or really any vegetable that’s on sale this week. For conventional produce, aim for $1 per pound. For organic produce, aim for $2 per pound. 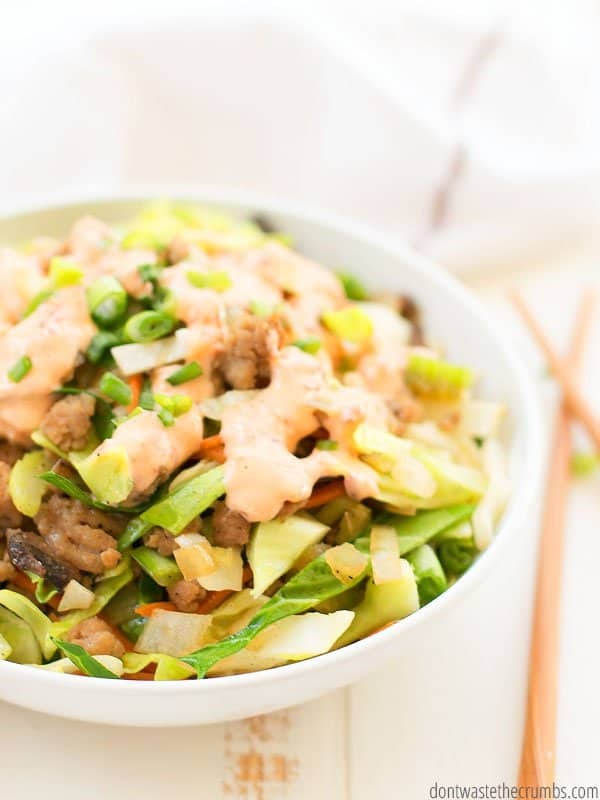 Cabbage: You need cabbage for Roasted Cabbage Wedges and Egg Roll in a Bowl. Both are delicious ways to use this inexpensive vegetable! Carrots: The recipes use about two pounds of carrots. I like to buy whole carrots and peel and cut myself, but you can use baby carrots if you want, and especially if they’re on sale! Celery: You only need a little bit of celery in Egg Roll in a Bowl. Use the rest for snacks or lunches. Celery sticks dipped in Homemade Ranch or Hummus is a favorite in our house, or go old school with celery and peanut butter! Cilantro: Hands down, cilantro is one of my favorite herbs (hello cilantro lime slaw and magic Thai peanut sauce!) If you don’t love it, *gasp* you can skip it. It tops the African Sweet Potato & Peanut Soup. Garlic: This is a kitchen staple that you need for a few dishes. Fresh garlic really adds so much flavor! Kale: This leafy green is the star of the show in Loaded Kale Salad. Plus you use it in the Stuffed Baked Sweet Potatoes. Mushrooms: You need about 4 ounces of mushrooms in the Egg Roll in a Bowl. You can use any extra for stir fry or maybe even add it to the Italian Sausage, Peppers, and Onions! Onions: Onions are part of the main dish in Italian Sausage, Pepper, and Onions. But you also need them in Egg Roll in a Bowl, African Sweet Potato & Peanut Soup! Russet Potatoes: Potatoes are going in the Loaded Kale Salad. Don’t knock it until you try it! I didn’t think roasted potatoes in a salad would be good, but WOW! Sweet Potatoes: Sweet potatoes are the main component of Stuffed Baked Sweet Potatoes. Make sure to bake an extra one that night to have it ready for Sweet Potato Biscuits. Spinach: I really like kale, but mixing up the greens with spinach helps you vary the nutrients! Add these to the Stuffed Baked Sweet Potatoes. Cherry Tomatoes: Cherry tomatoes (a.k.a. grape tomatoes) go on top of your Loaded Kale Salad and get roasted for your Stuffed Baked Sweet Potatoes. I’m telling you, these meals are delicious! Tomatoes: The African Sweet Potato & Peanut Soup gets a handful of tomatoes. This helps thicken up the soup and adds great flavor! After looking through the ingredients above, chances are you either have a bunch of them in the pantry already (SCORE!) or if you don’t, you’ll have extras as the week goes on. Here are some ways you can use up those items, keeping your grocery bill even lower! Greek Pasta Salad – use extra pasta, kalamata olives and this homemade Greek salad dressing. Add Any leftover feta, tomatoes, kale, spinach and mushrooms too. Fried Rice – use extra eggs, extra rice, extra soy sauce and any leftover vegetables you might have (there will likely be leftover bell pepper, carrots, celery, garlic, mushrooms and onion). If you have some, add leftover shredded chicken or sausage too. Add extra peanuts for crunch. Biscuits – homemade biscuits need just flour, baking powder, butter and milk. And/Or Buttermilk Biscuits – If you use some apple cider vinegar to make homemade buttermilk, you can have buttermilk biscuits! And/Or Pumpkin Biscuits – Use my sweet potato biscuit recipe but substitute leftover pumpkin for the sweet potato. Pancakes – use extra eggs, flour, baking powder, milk, and butter to make light and fluffy pancakes. Top with honey or fruit if you don’t have maple syrup. We have LOTS of real food meal plans in our archives. They’re seasonal, come out to around $350/month for a family of four, and delicious! You can find all of our meal plans here. If you need a specific meal plan, say for a certain diet or special occasion, have a look at these. They all come with downloads so you can access the recipes and shopping list! Do you have any inexpensive meal ideas you can shop for at ALDI? Or ideas for using up the leftover ingredients? Share your ideas in the comments below!